My program Soft Skills for Lawyers also will be very valuable for ALL your young lawyers. This is the stuff they don’t learn in law school and you may not have the time to teach them. I look forward to working with your law firm to increase retension and satisfaction rates for young lawyers —- for the benefit of the lawyers, the law firm and the law profession. 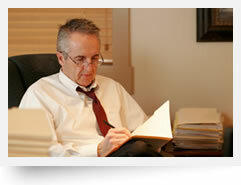 Law firm managers struggle with social and economic challenges like all business leaders. Retaining top talent, keeping them happy and productive in their jobs, and building a strong practice are key concerns at any successful law firm. Traditionally, the stereotypes of male attorneys and how they practiced defined the standard career path and model of success. Now that women and men are entering the law in more equal numbers and many men have different values and family responsibilities, old career paths and models no longer fit. 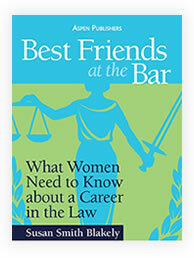 Best Friends at the Bar: What Women Need to Know about a Career in the Law is a powerful resource for addressing the the changing realities of the legal profession and the need for new models of career success. Ms. Blakely provides many resources to help your law firm build on what already works and create new possibilities for the future. Her second book, Best Friends at the Bar: The New Balance for Today’s Woman Lawyer, expands on the concept of the work-life struggle and how it affects individual lawyers and law firms. 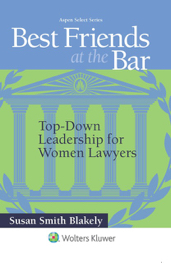 Her third book in the Best Friends at the Bar Series, Best Friends at the Bar: Top-Down Leadership for Women Lawyers, is written FOR law firm leaders and makes a strong case for the retention and advancement of women lawyers to enhance law firm profitability. 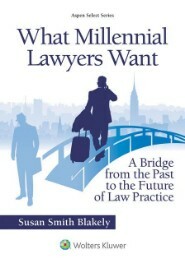 Her new book, What Millennial Lawyers Want: A Bridge from the Past to the Future of Law Practice, contains critical information for law firm leaders. The workforce will be 75% millennials by 2030, and millennial lawyers will be the new leaders. Learning to work with them now will assure the future of your firm. As managing partner of a large law firm, Stephen is concerned about the low retention rate for women lawyers and for millennial lawyers. He sees so many young lawyers struggle, and too many give up and abandon their careers. It is an important issue for the firm, and Stephen wants do something about it. To be proactive about addressing the issue, the law firm members need to understand the significance of the problem. As a managing partner, Stephen knows that it can cost the firm up to $500k for every senior associate who leaves, including transition, recruiting costs for a replacement attorney, interview time and other hidden costs. Even more than that, he wants young lawyers to feel valued by the firm and wants the firm to support them in the face of career challenges. Recently, he received a copy of Best Friends at the Bar: What Women Need to Know about a Career in the Law from a lawyer friend, and the book helped him understand the issues and articulate the problems to others. He knows that work-life balance is a challenge for many women, but he was surprised to learn women face difficulties in a male-dominated profession that often don’t exist for male practitioners. Stephen recommended the book to the chairs of the law firm’s Diversity Committee and the Women’s Initiative, and they agreed that it would be very valuable to their young women attorneys. 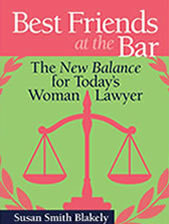 He also recommended Best Friends at the Bar: The New Balance for Today’s Woman Lawyer to his colleagues to make them more familiar with the work-life struggles and helpful solutions. The law firm purchased copies of the books for each of its young women lawyers and started using the books as marketing tools with promising recruits. Demonstrating commitment to the success of the young women lawyers included inviting Susan Blakely to speak to the Women’s Initiative and encouraging several young women lawyers to retain her as a career consultant. A host of other issues that needed to be addressed. Stephen put his firm on the cutting edge of the profession by demonstrating leadership on important issues affecting approximately half of the entering classes at law firms, and he started a dialogue that potentially can increase retention rates for women lawyers. Next year he plans to propose that Susan Blakely speak at the law firm retreat on the leadership issues in Best Friends at the Bar: Top-Down Leadership for Women Lawyers and the new book, What Millennial Lawyers Want, in an environment where there will be more time for reflection and further conversation. Stephen is confident that he made a sound business decision when he introduced Susan Blakely and Best Friends at the Bar to his law firm. Contact Susan to discuss speaking at your retreat or event and start conversations that will improve retention rates among women lawyers in your firm and protect your investment in young women lawyers. Susan will guide your firm in implementing new policies and procedures in addition to counseling young women attorneys. Best Friends at the Bar: What Women Need to Know about a Career in the Law and Best Friends at the Bar: The New Balance for Today’s Woman Lawyer are just the beginning. Contact Susan to discuss the many ways she can help you build a stronger more competitive firm for the future. If you would like to purchase wholesale copies of the Best Friends at the Bar books for your law firm, you can find more information on the Aspen Publishers’ website.